In today I cannot say why we record phone calls. There can be many reasons to record the phone calls. Sometimes we want to record important calls for these reasons we download many apps from the Play store. In today we share you some great Android mobile applications for Android Phones. Now everyone uses a good android smartphone. 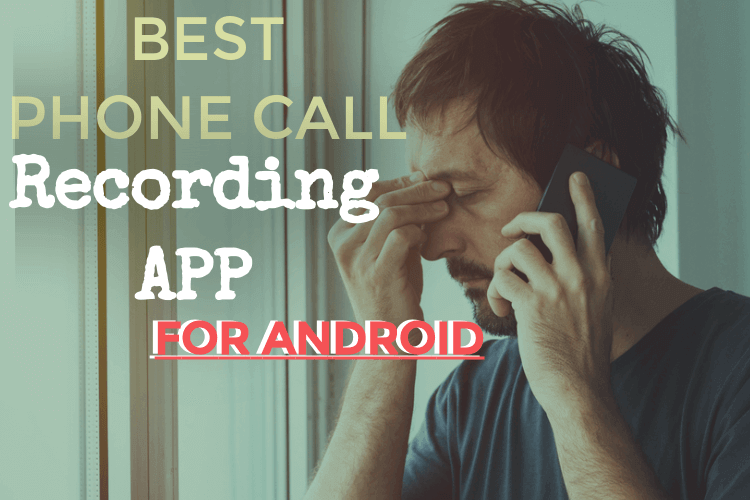 So friends, today I will tell about the top 5 best phone call recording app for android. If you are talking to someone very important, you can record the phone calls with this recording apps. So let’s know about these top 5 applications for recording phone calls. Top 5 call recording apps for android mobile. These call recording apps help you by recording all your phone calls. This top 5 app is capable of recording Automatic Call in all Andriod phones. Save those records to your phone’s storage. Some of the best apps. You can listen to those records. All the telecom operators record your call, but It is not easy to hear through the company. Because telecom provider doesn’t give it easily. So the solution is we record our call by self. Because sometimes we talk to some people who have something important to record. * If you a businessman and you talk Some important things with your business partner Which can prove to be beneficial for you in the future. The help with this app you can record your phone calls easily. * If you have a relationship then Call Recorder is very important for you. Because of 80% of the relationship going to court. Call Recorder – ACR app used by a lot of people. The user rating of this app is also very good. You can check this app by installing it on your mobile phone. In this app, you will get great features such as you can save audio on MP3, AAC, WAVE format. Automatic Call Recorder is a very good app for recording all calls automatically. With this app, you can record any call, The size of this is an app very small only 4 MB. Cube Call Recorder ACR can record your all phone calls also VoIP calls. Using this recorder you can also record your social media calls like WhatsApp, Facebook, IMO, line, Viber and many more. Call recorder application can do all call record in a very easy way. After installing this application, it will start recording automatically as soon as you call someone. There is a simple and efficient call recorder for your Android phone. There are very good features in this app too.